Kolpino is a small town in Kolpino district of St. Petersburg, Russia. 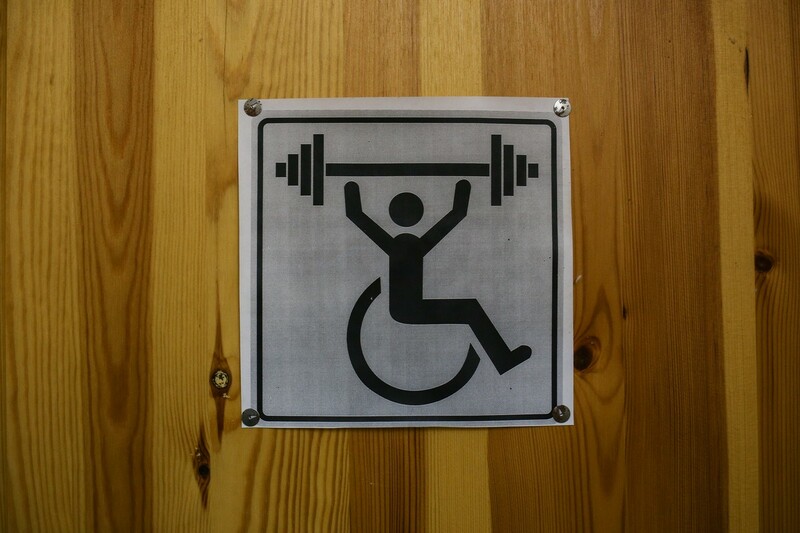 Here, in a building that once was occupied by a tire shop, Kolya Afanasyev and three more men with musculoskeletal disorders decided to do their powerlifting workouts. Kolpino is a small town in Kolpino district of St. Petersburg, Russia. 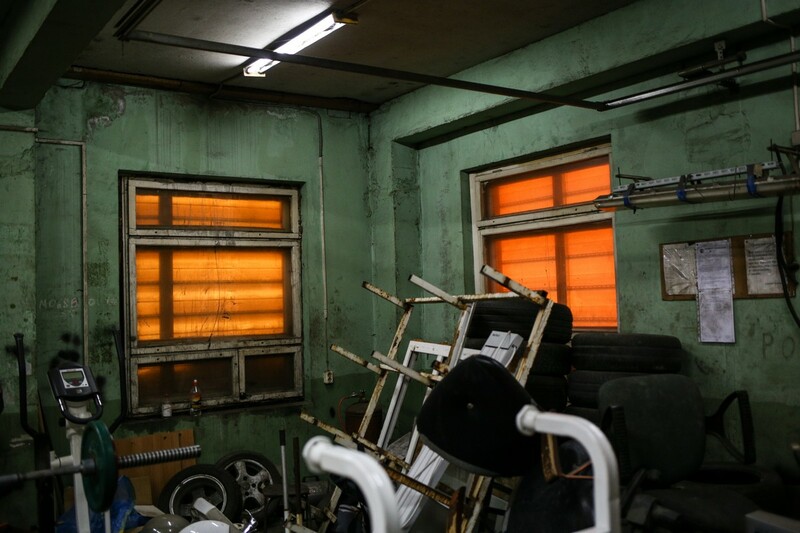 Here, in a building that once was occupied by a tire shop, Kolya Afanasyev and three more men with musculoskeletal disorders decided to do their powerlifting workouts, despite the lack of heating and sports gear (for example, they have to do the benchpress on a too-short handmade bench with the head on a chair). 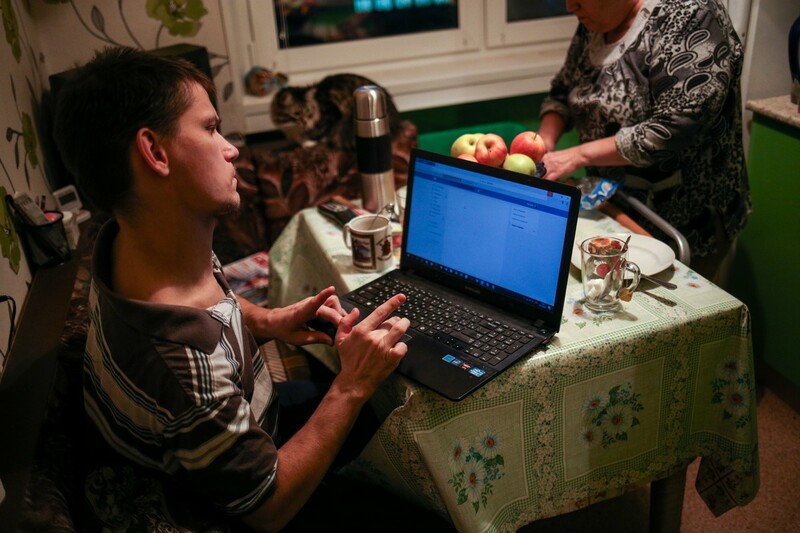 They started their workouts in Kolpino Department of the Russian Association of People with Disabilities in a warm but small room, which they had to leave in the end of summer of 2016, as it was used to create a few workplaces for the Association members. That’s how the sportsmen ended up in non-sporting conditions they will have to put up with until they find the money for renovation of their new gym. 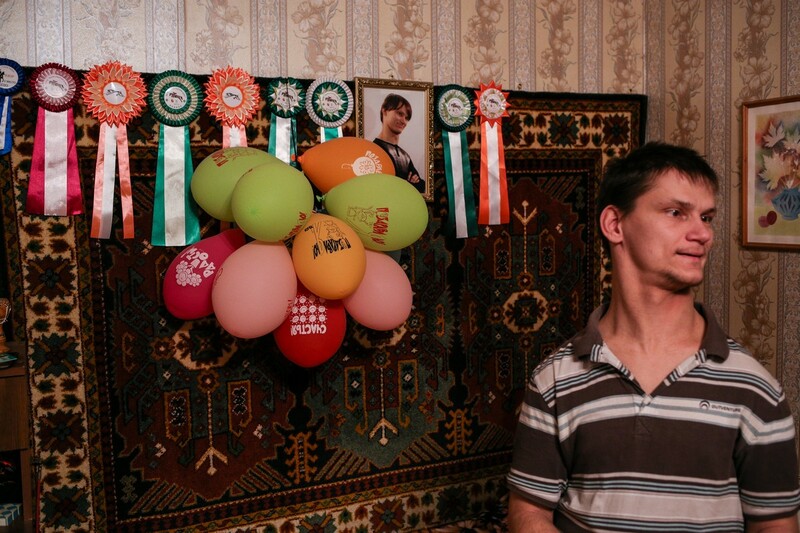 Kolya Afanasyev is one of those people with infantile cerebral paralysis who live an active and eventful life. He recently turned 36, and he has been into powerlifting for half a year. 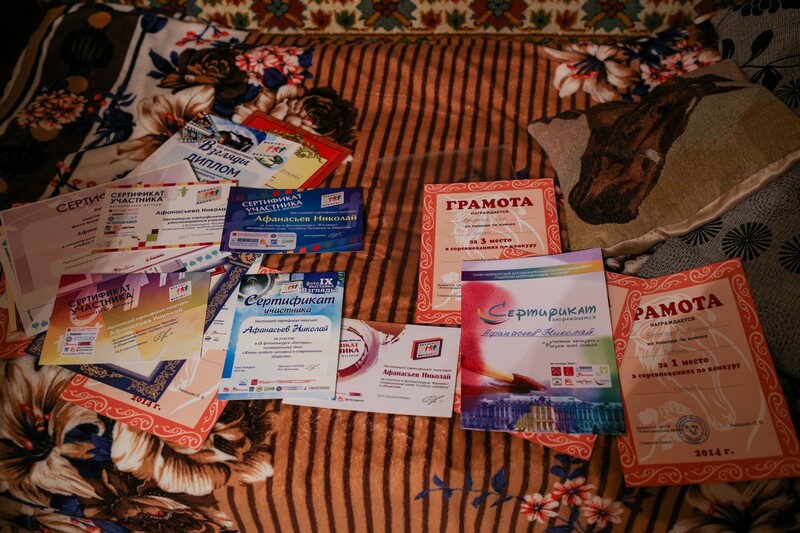 Over the last month, Kolya was preparing for his first competition; he had a workout every second day. On December 18, 2016 he won his first prize: he was third among the athletes with musculoskeletal disabilities in Nevsky District Powerlifting Cup. 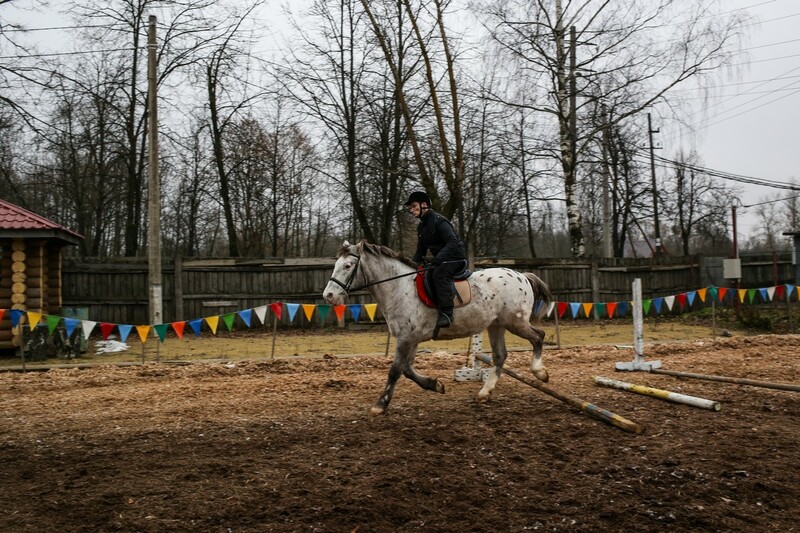 In addition to powerlifting, Kolya has been horseback riding for seven years. His accomplishments in equestrian sport are way more significant and include countless awards from competitions of all sorts. 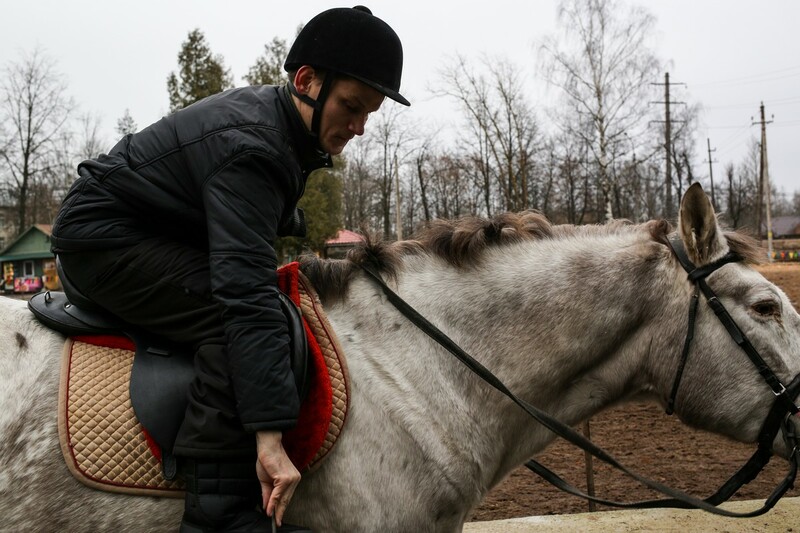 Once a week he goes to train in Pavlovsk. “My first horse was Venus. She was quiet, we were on the same wavelength, she and I. Then I had Bublik, he was slow and thought about nothing but food. The next one, Beauty, was zippy. And now it’s Chubarik, he’s the big boss over all the horses there. 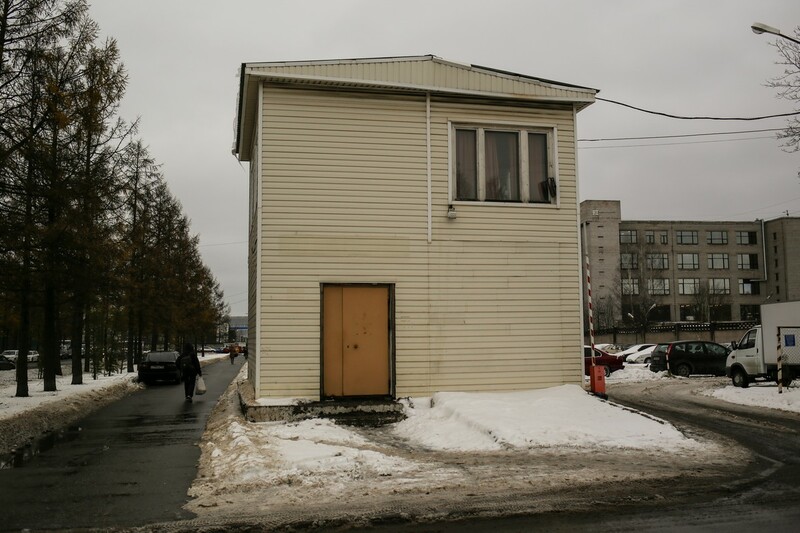 And still he gets scared when a truck goes by, or when snow falls from the roof”, Kolya says. Earlier in life Kolya was keen on photography and participated in some contests. “Some ten years ago I wanted to learn how to properly take photos. I mastered the techniques and then they offered me to take part in the “Sights” contest exploring the life of people with special needs in today’s society. I photographed people with disabilities. But I gave up on it after two years”. 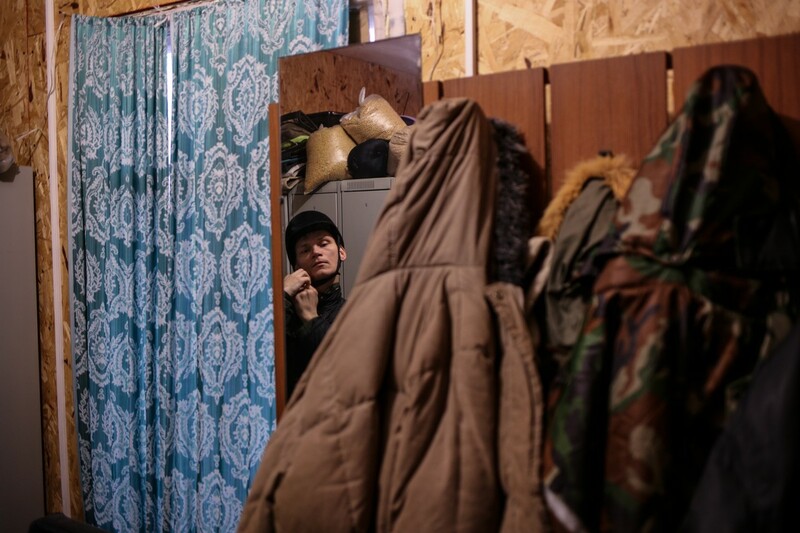 From the age of 5 to 18, Kolya lived in a care home in Peterhof where he received the necessary medical attention: he could neither hold his head up nor walk. 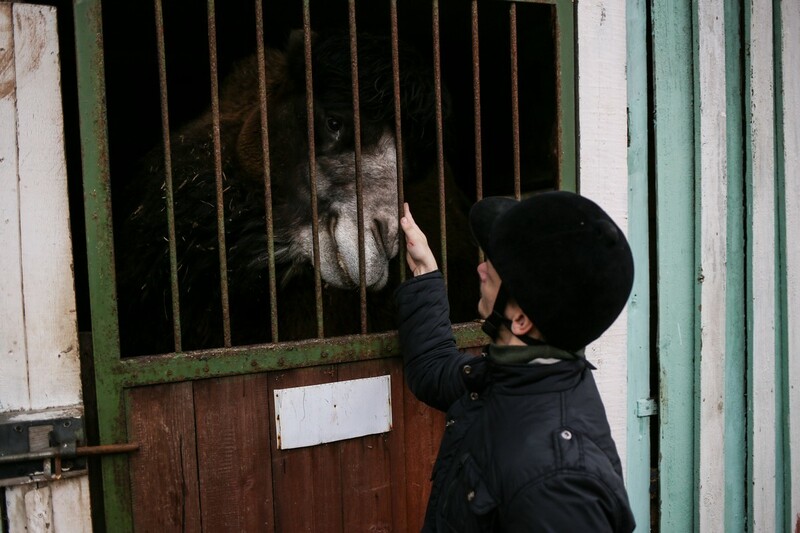 Kolya has speech difficulties, but it does not prevent him from being outgoing. In the care home, he got his education and learned the basic adult life skills. 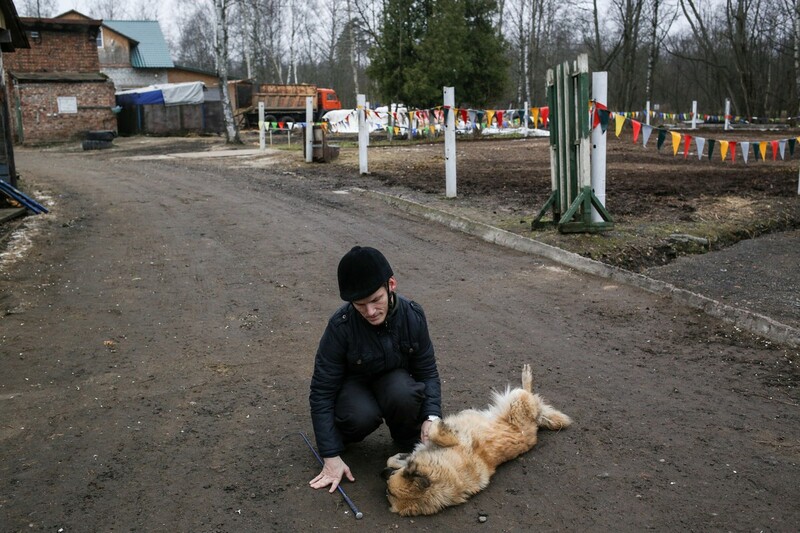 “We used to go to a village in Leningrad region where people taught us some farming and how to live independently. There were sewing and knitting workshops there. But I learned to knit from a nurse”. Knitting was easy to master; in just a week, he could both knit and knook. “I can make anything, socks, sweaters, vests, footie socks. But only as the mood takes me. 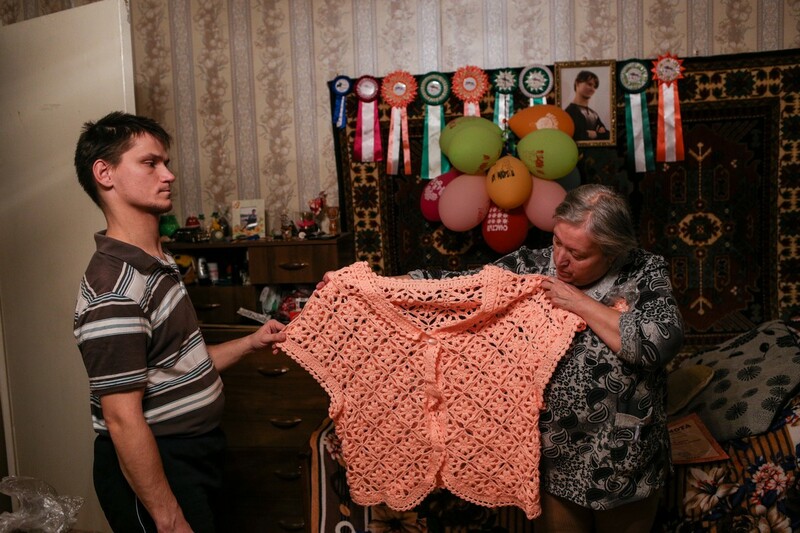 I knit things for my family, or for someone else, as a gift”. Now Kolya lives with his mother and his elder sister. His mother is on pension, she doesn’t work anymore. Kolya and his sister do. “I’ve been working since 2002. 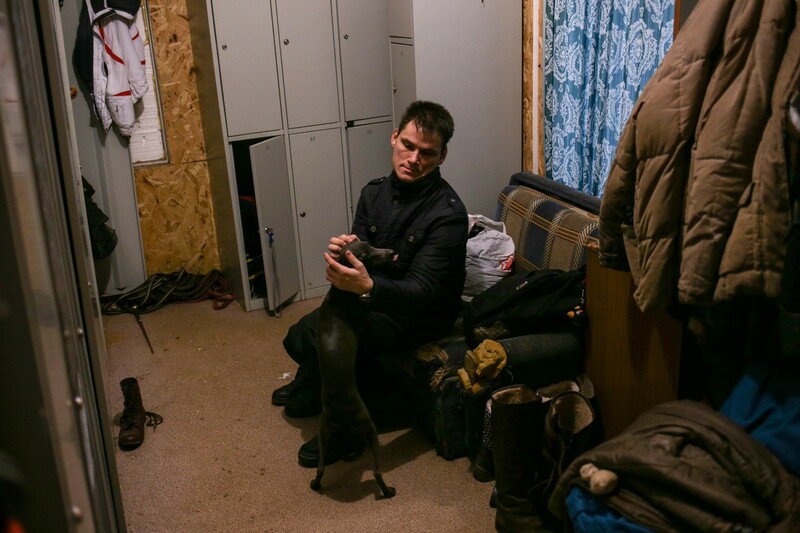 I thought I should get a job because my pension was not enough to live on.” Kolya works as a cleaner at three car parkings. 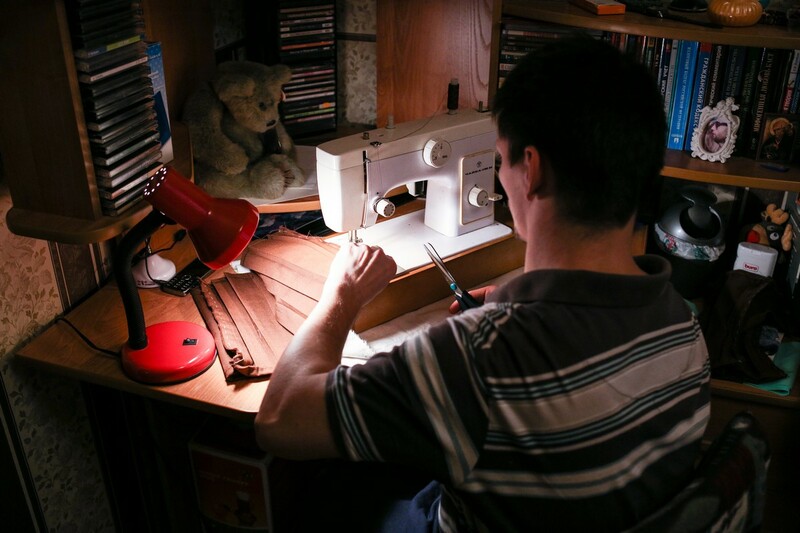 “If something more interesting comes up, why not try it ”, Kolya says about his future plans. “Actually, I would love to travel more. No matter where. Just wherever my feet may take me”.